No artificial colours or preservatives, SUITABLE FOR VEGETARIANS. Suitable for vegetarians, The complete sauce... just add meat or fish, A sauce made with a blend of coriander, turmeric and cumin with ginger, For A Great Little Idea... For a tasty twist, simply heat up the curry sauce and pour over crispy breaded chicken, Each 140g serving contains Calories 78 4% of an adult's guideline daily amount. 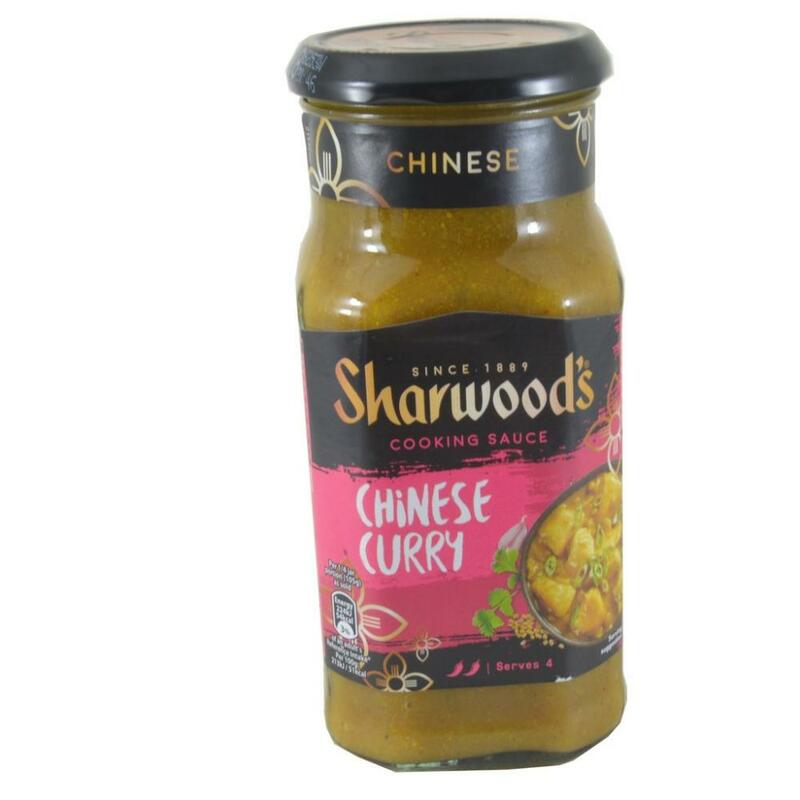 Glass widely recycled, A light, aromatic curry with mild Chinese spices, No added MSG, No artificial colours or preservatives, Suitable for vegetarians.